A light but strengthening SE wind, warm and humid at first light, clear becoming cloudy. I covered Holywell, the taller trees and cover around the top of the Hollow, Pub and top bushes but got slightly waylaid at the old trapping area! It’s early November, the wind is in the south east sector and I left the house with high expectations. News of a Pallas’s Warbler arriving in Suffolk filtered through by 9am. It only went to fuel the desire to find one of my own even more. 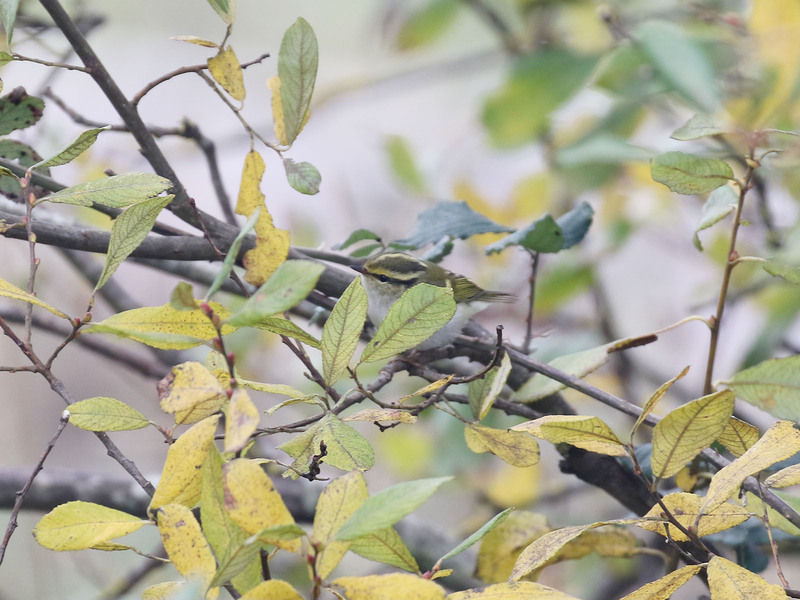 A bird BWP describes as “The smallest and most beautiful Phylloscopus to occur in the western Palearctic” and I can’t imagine anyone disagreeing. The date and weather were spot on. I’d encountered 3 Chiffchaff, a Blackcap, 25+ Goldcrest and 2 Firecrest (definitely a sharp increase in crests this morning) before reaching the old trapping area. Whist in there I caught a fleeting glimpse of a “wing barred phyllosc” the same story played out yesterday at Belle Tout where it transpired to be a Yellow browed. I didn’t get a sense of size although it seemed brighter and saturated. Birds zip through these isolated bushes very quickly at times and I was really anxious it had moved on. 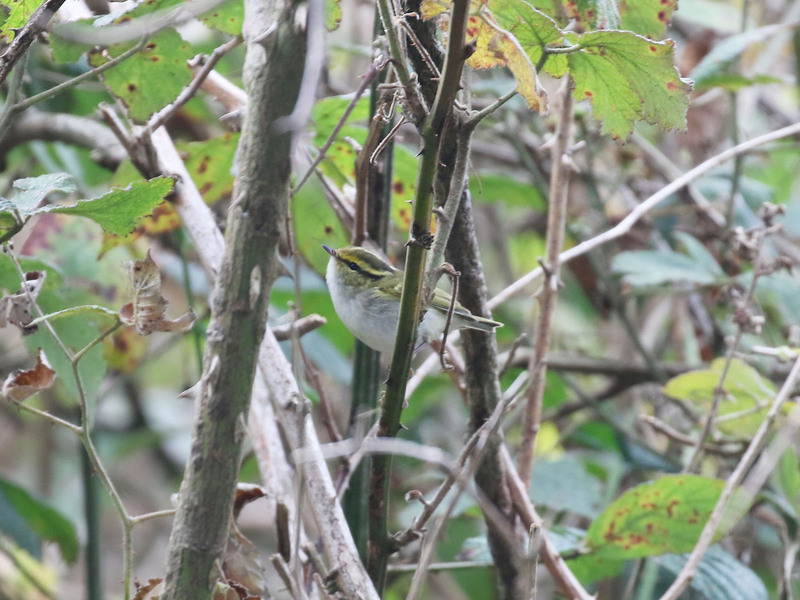 It took another 20 minutes to see it again, a Pallas’s Warbler! I was beyond happy, one of those rare instances where an imagined moment becomes reality. The bird showed well on and off, keeping in low cover, actively flitting around and often picked insects from the foliage in a trade mark hover, flashing it’s custard coloured rump whilst doing so. However it was a little too active to get images that did it justice. 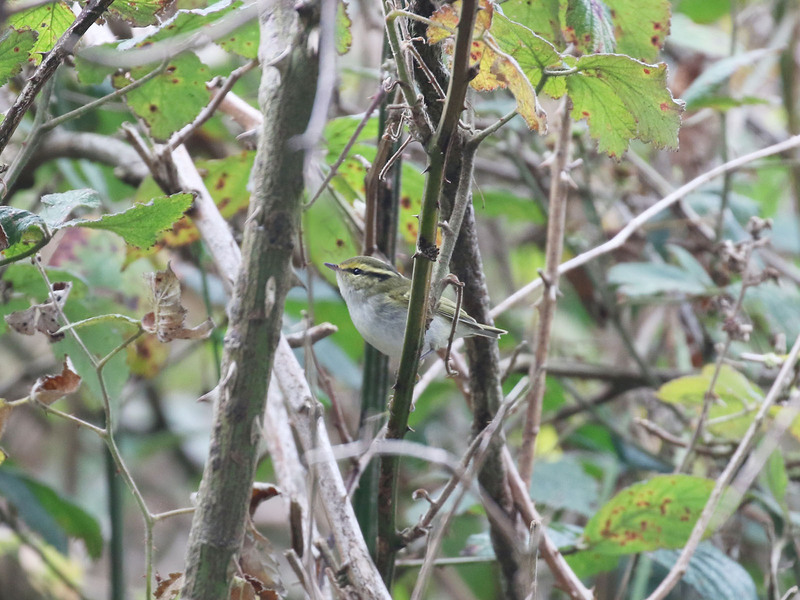 A Yellow browed Warbler dropped into the bushes too, called a few times and seemed to quickly depart east. A Firecrest and 2/3 Goldcrest also present, one of which was hand tame, feeding just inches away, oblivious to people present. I think it’s one of my most enjoyed finds, heart was pounding until I eventually nailed it. I had forgotten how “crest like” they are, even making the diminutive Yellow browed Warbler seem like a decent sized phyllosc. Below, the weather that brought the Pallas’s Warbler overnight on the 4th November. 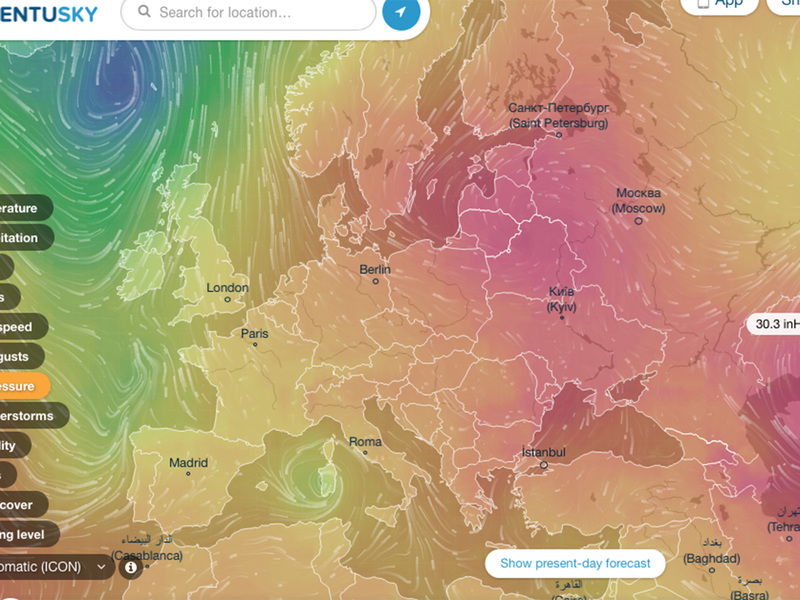 Far reaching south and south easterly winds.